I believe that one of the most fundamental and necessary aspects of survival for Montessori parents and teachers is a strong and connected community. Whether it’s a virtual or physical space – we all need it, place and people that make you feel understood, accepted, where your voice is valid. We sharpen each other’s knowledge and inspiration to do usual tasks differently, but most importantly, we help each other create stronger connections with our children. One of my favourite things in the world is to listen to people talk. Kitchen. Cup of cold tea. Candle. Night. Eyes. Ears. When people feel comfortable to pour out their ideas, thoughts and feelings from the depth of their hearts and beliefs without holding back. This inspired me to reach out to my dear Montessorian friends and readers – asking them to kindly share their thoughts and wisdom on most valuable lessons learnt in 2016. The truth is, I am so very grateful for every single person who visits, comments, shows support and sees value in what I have to say and in materials I have to offer. It is incredibly humbling. I would love to look in the eyes and hear the “story” of every single one of you, dear readers! You are the reason I do what I do! Thank you! I continue to be so touched by the depth of Maria Montessori’s teachings, and how ‘alive’ her words are when I sit and observe a child. When I am present in myself and see with a vision that holds the mystery, magic, and potential held in a child’s exploration of themselves, others, and the environment. I have also learned, through my mentoring of parents, how unique their Montessori process is, and the importance of providing space, time, and guidance for their journey. My families are present during our class sessions, so they learn to observe, see their child in a broader spectrum, and learn in the living moments of Montessori. Their interest, courage to self-reflect, willingness to share and support each other is a beautiful thing to witness. The best thing I’ve learned about Montessori this year is that the methodology continues to stand up to the rigor of current scientific research. The more we learn and share about the science behind learning, the more validated and viable Montessori education becomes for all children. I went to a local training (UK) and the trainer talked about fantasy and fiction and said that she believed some of us are too strict with fantasy and avoid it entirely as we want to have everything reality based but she said that we must in fact check in if the child understands what is real or not, as long as he understands that some things are not real, it’s ok to be introduced to fiction based on fantasy. Faith – possibly not so much learned, but rather reinforced. Time and again I am reminded how far faith in the approach can take both the child and myself. Sometimes it seems a child may not have taken in a lesson, and I question if I had observed incorrectly or not prepared the environment adequately. And when you least expect it they return to you with amazing insights and share their knowledge and passion. It is infectious. 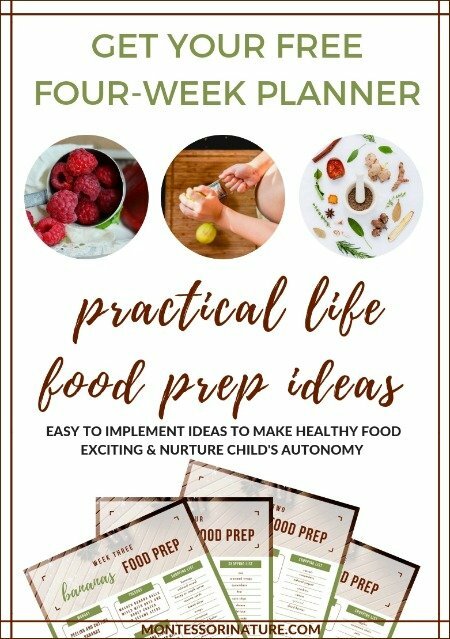 The best thing I learned this year is the importance of being a ‘prepared parent’. 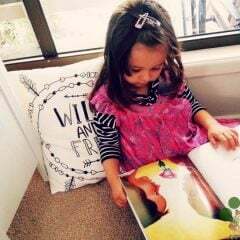 As a Montessori parent, MY understanding of Montessori and how to apply it in real life at home is fundamental so that my children experience consistency between home and school. Montessori is far more than how our children learn at school, it is a way of life that requires a complete shift in thinking as we step away from our hardwired parenting habits and the way we view and parent our children. The warmth, connections, and flexibility that is possible in the Montessori system which I did not realize until I went to the Apparatus Workshop for my training (I have been doing Distance Learning) and got to see a very warm instructor demonstrate math materials with humor and encouragement. The possibilities of connection, and the message that ‘all work is noble’ being stressed by Montessori schools beyond primary are also such beautiful things that I learnt this year (as I dipped my toes into a few articles describing the Montessori environment for adolescents). Don’t we all wish that we can have supportive environments during those vital, and often volatile, social years when we could go either way? To love is the key in our fight against darkness. 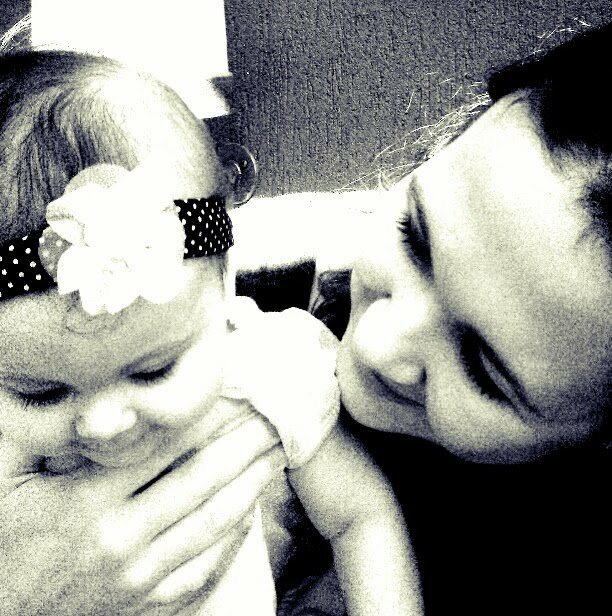 To sit back and let my child lead – I’ve stopped interfering to “help” and it’s increased her confidence and her skills! She was pretty confident already but it’s also increased my confidence in her abilities. It’s been a win-win. It is truly a pleasure to see my child learning skills to be independent. 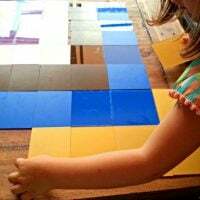 As a new parent, using the Montessori Method has been incredibly helpful and makes my two year old so happy. We are looking forward the year ahead and growing with Montessori Nature. Thanks for everything you do! 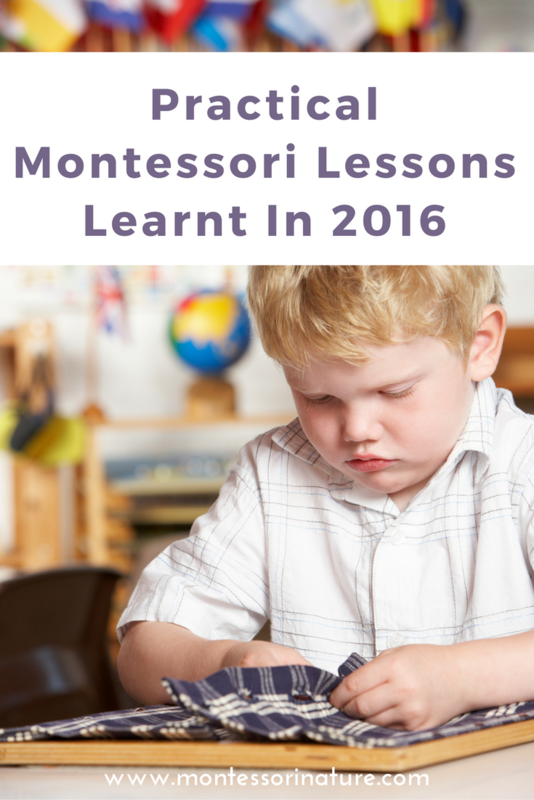 This is the first year I have studied anything about Montessori so it has been a lot of information to absorb! I think the two most important things I am learning is follow the child (I have seven soon to be 8 children ages 10 and under) and don’t do for the child something that he feels he can do himself. The last one I have said often to my 10 year old as she tries to do everything for the two year old. She is learning and beginning to see how much fun it is to watch a little child succeed on their own. 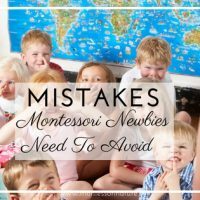 🙂 I first started looking into Montessori in March and it has caused some big changes in our family and homeschool. I still feel very much like I am floundering and a newbie but am learning and excited about passing the info on to others. 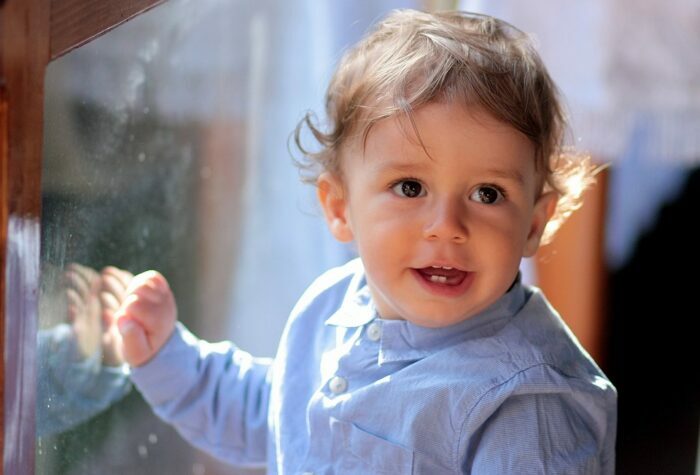 One of the greatest advantages of the Montessori method is that it requires from the teacher/parent to give undivided attention to one child at a time. In spite of the fact that the end goal for the child to be able to work independently, at every given moment in time the child has right to receive help, support and have an opportunity to connect with an adult they admire and trust. This underlined rule alone, that seems so fundamental and obvious to every Montessorian, brings an enormous advantage over traditional classroom structure and dynamic where one-on-one time is not an expectation or requirement. My daughter started to attend a Forest School program (or more accurately – Bush school) once a week. There they haven’t spent a minute sitting at a desk unless children were having a rest time, every single moment was spent outdoors. The amount of learning and knowledge she has gained through this program simply astounded me. He gained hands-on skills and practical achievements brought enormous joy to my heart. Outdoor learning (when organised and structured correctly) correlates with Montessori philosophy and brings fascinating results! One of the most significant aspect of freedom in the Montessori environment that affects child’s development, growth, and helps to develop passion- is free to make mistakes. Mistakes help wire and program human brain for becoming and achieving greater potential. Feel free to share your thoughts and your greatest Montessori lessons learnt in the comments section below! Thank you so much for sharing your wisdom with us!